This article is about the Canadian actor. For the Canadian musician, see Drew Nelson (musician). For other people named Drew Nelson, see Drew Nelson. Drew Nelson (born August 11, 1979) is a Canadian actor and voice artist born in Etobicoke, Ontario, Canada. He is best known for playing Duncan on the Canadian cartoon series Total Drama and Matt Sayles in The Strain . Etobicoke is an administrative district and former city that makes up the western part of Toronto, Ontario, Canada. Etobicoke was first settled by Europeans in the 1790s; the municipality grew into city status in the 20th century. Several independent villages and towns developed within the area of Etobicoke, only to be absorbed later into Etobicoke during the era of Metro Toronto. Etobicoke was dissolved in 1998, when it was amalgamated with other Metro Toronto municipalities into the City of Toronto. Etobicoke is bordered on the south by Lake Ontario, on the east by the Humber River, on the west by Etobicoke Creek, the city of Mississauga, and Toronto Pearson International Airport, and on the north by Steeles Avenue West. Total Drama is a Canadian animated comedy television series which is an homage and parody to common conventions from reality television. The show and its sequel seasons are collectively referred to as the Total Drama series. It premiered on the Canadian cable television specialty channel Teletoon in Canada on July 8, 2007, and on the American cable television channel Cartoon Network in the United States on June 5, 2008. All of the contestants have distinct personalities that serve as main plot points with the characters consisting of the eponymous fictional reality series and the contestants therein. The style of this series is similar to that of Survivor. Total Drama was met with critical acclaim upon release and has developed a cult following. He has been in numerous television shows. He first appeared in the television series Friends as an extra. A background actor or extra is a performer in a film, television show, stage, musical, opera or ballet production, who appears in a nonspeaking or nonsinging (silent) capacity, usually in the background. War films and epic films often employ background actors in large numbers: some films have featured hundreds or even thousands of paid background actors as cast members. Likewise, grand opera can involve many background actors appearing in spectacular productions. Fringe is an American science fiction television series created by J. J. Abrams, Alex Kurtzman, and Roberto Orci. It premiered on the Fox network on September 9, 2008, and concluded on January 18, 2013, after five seasons and 100 episodes. The series follows Olivia Dunham, Peter Bishop, and Walter Bishop, all members of the fictional Fringe Division of the Federal Bureau of Investigation, based in Boston, Massachusetts, under the supervision of Homeland Security. The team uses fringe science and FBI investigative techniques to investigate a series of unexplained, often ghastly occurrences, which are related to mysteries surrounding a parallel universe. Rookie Blue is a Canadian police drama television series starring Missy Peregrym and Gregory Smith. It was created by Morwyn Brebner, Tassie Cameron and Ellen Vanstone. The police drama premiered on June 24, 2010, at 9:00 p.m. Eastern/8:00 p.m. Central, and aired on Global in Canada and ABC in the United States. Nelson is also currently working on a project called Lost Ones as a writer-producer. The project is an urban fantasy centered around a 13-year-old orphan named Malik. It is set against the backdrop of hip hop and street art, and the film follows Malik and his crew as they plot to foil a greedy mayor's plans to gentrify their hood. Richview Collegiate Institute is a secondary school in Etobicoke, in the west end of Toronto, Ontario. It is in the Etobicoke Board of Education which in turn became the part of the Toronto District School Board in 1998. RCI has been an integral part of the Etobicoke community since 1958. Reach for the Top is a Canadian academic quiz competition for high school students. In the past, it has also been a game show nationally broadcast on the CBC. Teams qualify for national rounds through several stages of non-televised tournaments held at high schools throughout Canada during the year which are known as Schoolreach. Eglinton Avenue is a major east-west arterial thoroughfare in Toronto and Mississauga, in the Canadian province of Ontario.The street begins at Highway 407 at the western limits of Mississauga, as a continuation of Lower Baseline in Milton. It traverses the midsection of both cities and ends at Kingston Road. Kipling Avenue, is a street in the Cities of Toronto and Vaughan in Ontario, Canada. It is a concession road, 6 concessions (12 km) from Yonge Street, and is a major north–south arterial road. It consists of three separate sections, with total combined length of 26.4 km. (16.4 mi.). Etobicoke Collegiate Institute is a high school at the former centre of Etobicoke in the Islington neighbourhood of Toronto, Ontario, Canada, and is overseen by the former Etobicoke Board of Education, which is part of the merged Toronto District School Board. Asia Molly Vieira is a Canadian actress best known for her early role in the 1991 made-for-television Omen IV: The Awakening and playing as Christine Harrison in the Disney Channel original series, Flash Forward. Katie Boland is a Canadian actress, writer, director, and producer. She began her career as a child actress in film and television and has since branched out into adult roles, in addition to writing, directing, and producing her own projects. Jeff Johnson is a former professional Canadian football running back who played for the Hamilton Tiger-Cats and Toronto Argonauts of the Canadian Football League (CFL). The Metro Bowl has traditionally been the championship game for Secondary School football teams in the Greater Toronto Area from 1982 until 2012. 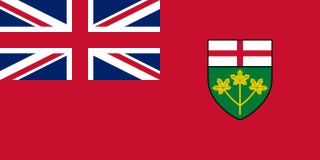 The game was revived by the Ontario Federation of School Athletic Associations beginning in 2015 as one of a series of nine regionally themed bowl games held as part of an annual Ontario football bowl game festival since 2015. Rather than a strictly Toronto-area championship, the Metro Bowl is now held between one of either the Toronto District College Athletic Association (TDCAA) representig Catholic schools or the Toronto District Secondary School Athletic Association (TDSSAA) representing public schools, alternating each year, against another Ontario association's champion determined by draw. The Toronto association not playing in the Metro Bowl in a particular year will instead play in one of the other bowl games. Lyriq Bent is a Jamaican-Canadian actor. He is known for his roles in the Saw films, the television series Rookie Blue, and The Book of Negroes. Bent portrays Jamie Overstreet in the Netflix series by Spike Lee, She's Gotta Have It, based on the film of the same name. Total Drama Island is a Canadian animated television series which premiered in Canada on Teletoon on July 8, 2007. This is the first season of the Total Drama series and has 26 episodes, each 22 minutes in duration with a special 44 minute episode at the end. The season is mostly a parody of the series Survivor, and features 22 campers in an elimination-based competition. On the Cartoon Network airing in the United States, some content has been removed from the episodes by censors in order to keep the rating open to a younger audience; for example, putting in words instead of long bleeps, and censoring of sensitive body parts, for the episodes "That's Off the Chain" and "Trial by Tri-Armed Triathlon". The fourth season, Total Drama: Revenge of the Island, takes place on the same island as this season, but with an all-new cast. Total Drama Island was created by Tom McGillis and Jennifer Pertsch with their production studio, Fresh TV, which also created their previous animated series, 6teen. Total Drama Action is a Canadian animated television series. It is the second season of the Total Drama series, which began with Total Drama Island. The show premiered in Teletoon at 6:30 pm ET/PT on January 11, 2009. This series was also created by the makers of 6teen, another Teletoon program. This is the only season for Teletoon not to air a new episode every week. Devon Bostick is a Canadian actor best known for playing the lead role of Simon in the Atom Egoyan directed film Adoration, Brent in Saw VI, Rodrick Heffley in the first three Diary of a Wimpy Kid movies and Jasper Jordan on The CW show The 100 from 2014 to 2017. Arts Etobicoke was founded in 1973 in Toronto, Ontario, Canada. They are an incorporated not-for-profit arts council governed by a volunteer Board of Directors from business, the arts and the community. They serve thousands of students in their arts education programs, a membership of 50 arts organizations, 200 individual members, 60 individual artists and clients in an Art Rental program, hundreds of artists through their arts programming and exhibitions, 22 scholarship recipients, the general public and numerous project partners. Kirsty Ellen Duncan is a Canadian politician and medical geographer from Ontario, Canada. Duncan is the Member of Parliament (MP) for the Liberal Party of Canada in the Toronto riding of Etobicoke North and was appointed Minister of Science, on the advice of Prime Minister Justin Trudeau, on November 4, 2015. In January 2018, she also became Minister of Sport and Persons with Disabilities. Elliott Richardson is a professional Canadian football defensive back who is currently a free agent. He previously played for the Edmonton Eskimos and Saskatchewan Roughriders. Elliott attended Richview Collegiate Institute, in Etobicoke. He was signed by the Eskimos as an undrafted free agent in 2009. He played CIS football for the Acadia Axemen. Central Etobicoke High School is a secondary school located at 10 Denfield Street, bordered by Widdicombe Hill Blvd to the South and Clement Rd to the North in the Richview neighbourhood of Etobicoke in Toronto, Ontario, Canada. There are four course levels offered: Essential, Workplace, Open and K. It is also governed by the Etobicoke Board of Education that was transferred over to the Toronto District School Board after 1997. ↑ "Drew Nelson on The Strain - Twitter Update - Twitter". twitter.com. 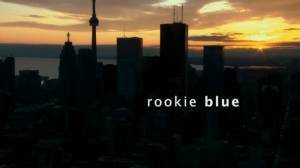 ↑ "TIFF 2011 "Rookie Blue" Drew Nelson with Canadians Abroad Interview - Drew Nelson Interview - YouTube". youtube.com. ↑ "Drew Nelson – Total Drama Island Actor Fights The Strain". Success Circuit. Retrieved 2015-06-07. ↑ "Drew Nelson". Turner Classic Movies . Retrieved 2015-06-07. ↑ Reason, Cynthia (2014-06-17). "Richview Collegiate grad Drew Nelson says dream come to true to work on The Strain with director Guillermo del Toro". Inside Toronto . Retrieved 2015-06-07. ↑ "Katie - Drew Nelson - Update - Facebook". facebook.com. Anime News Network (ANN) is an anime industry news website that reports on the status of anime, manga, video games, Japanese popular music and other related cultures within North America, Australia, Southeast Asia and Japan. The website offers reviews and other editorial content, forums where readers can discuss current issues and events, and an encyclopedia that contains a large number of anime and manga with information on Japanese and English staff, theme music, plot summaries, and user ratings.